Introduce, this is our product with the name FIFTYES Font. 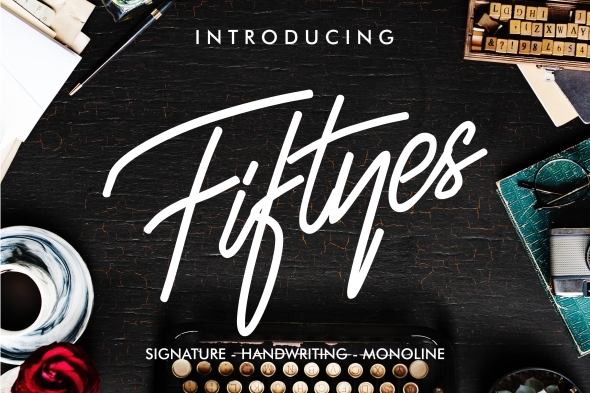 FIFTYES is a concept of touch of feminime, masculine and modern hand writing . Sinteria is great if used on Invitation, Business Card, Portfolio, Photography Signature, Logo, more !